LEGO Ninjago WU-CRU Walkthroughs that’s what we are all about these days, in this post we bring you the solutions, walkthroughs, hints and answers for each part of LEGO® Ninjago™ WU-CRU. This particular LEGO® game counts with 60+ awesome levels where you can unlock a bunch of fun LEGO® Ninjago vehicles and you can play with Jay, Zane, Nya, Cole and Kai and save Ninjago Island. If you are looking for the answers to LEGO Ninjago WU-CRU walkthroughs, cheats and solutions here at SolvedApp we bring you the LEGO Ninjago WU-CRU help you need to get through every level. 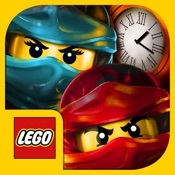 LEGO Ninjago WU-CRU is among the most recent LEGO Ninjago game & apps. If you haven’t tried it yet, it’s highly recommended by us.